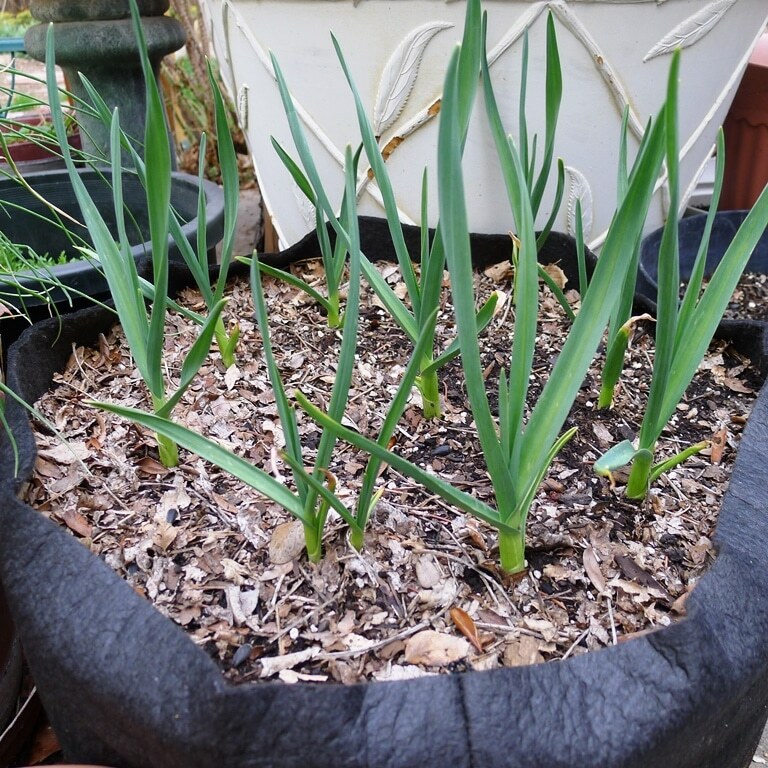 “Smart Pots/Big Bag Beds weren’t available to home gardeners about 13 years ago when I first started using them. An industry friend introduced me to these fabric grow bags that were being used by nurserymen to grow their trees and shrubs. My long term Smart Pot/Big Bag Bed, (Big Bag Beds are the larger Smart Pot raised beds), marriage began the day I wondered how would strawberries do planted in these containers rather than in the more traditional strawberry jar planters? So I planted a few and watched them grow and wound up with a crop of outstanding strawberries. The following year I grew potatoes and used larger size Smart Pots. I grow three different varieties and used a 20-gallon container for each one, and again, the results were terrific. I soon realized that in addition to those being used by commercial growers these fabric bags could be a blessing to home gardeners. So I started sending out some samples to gardener friends in the industry, asking them to grow whatever plants they wanted to and give me feedback after doing so. Over the years, my experiment took on a life of it’s own. I loved these containers and each growing season I would challenge myself to grow something new, plants I previously hadn’t tried in these containers. As the years passed so did the size of my container garden. The year before I put in a permanent Smart Pot garden, I counted 150 Smart Pot containers, all growing plants, happily sitting in my driveway. They occupied so much space that I had to park my car that on the street. I also started to use Smart Pots to for my houseplants and found them particularly useful for fussy plants that require excellent drainage like orchids, succulents and cacti. Outdoors I grow: culinary herbs, flowering annuals and a wide variety of vegetables and fruits including: broccoli, Brussels sprouts, garlic, onions, peppers (both sweet & hot), beans, tomatoes, watermelon, squash, potatoes, salad greens, spinach, corn, cabbage, carrots, eggplants, radishes, peas, kale, Swiss chard, cucumbers, horseradish, rhubarb, blueberries, raspberries, dwarf apple and cherry trees. One of the tips I’d like pass along is to fold over the top and create a cuff when filling the containers. It gives the pots just enough support to make filling them easier. The porous, durable fabric is the reason Smart Pots work so well and in my opinion outperform other containers. In short, they create an ideal environment for plants’ roots. 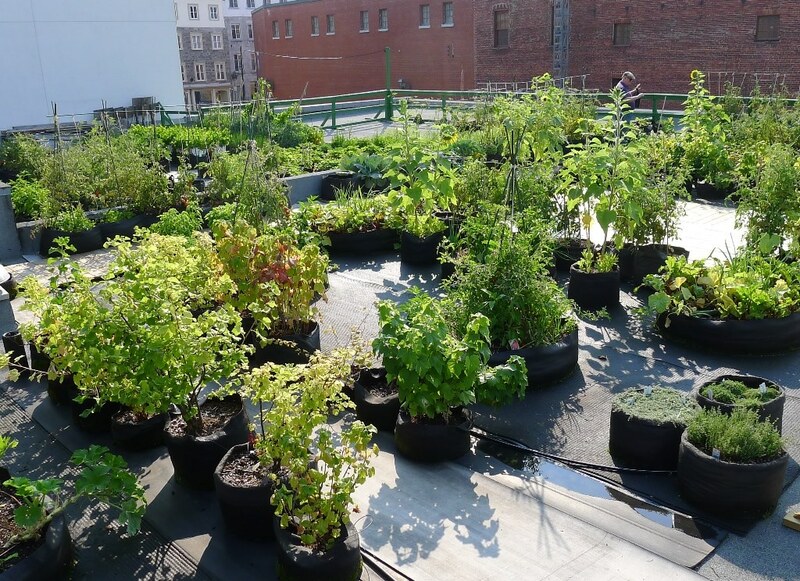 The entire fabric consists of millions of tiny pores that affect the containers’ physics and provide exceptional drainage, air root pruning and the release of excessive heat during hot weather. In many cases plants do even better in Smart Pots then if they were growing in the ground. It’s hard to believe but true. 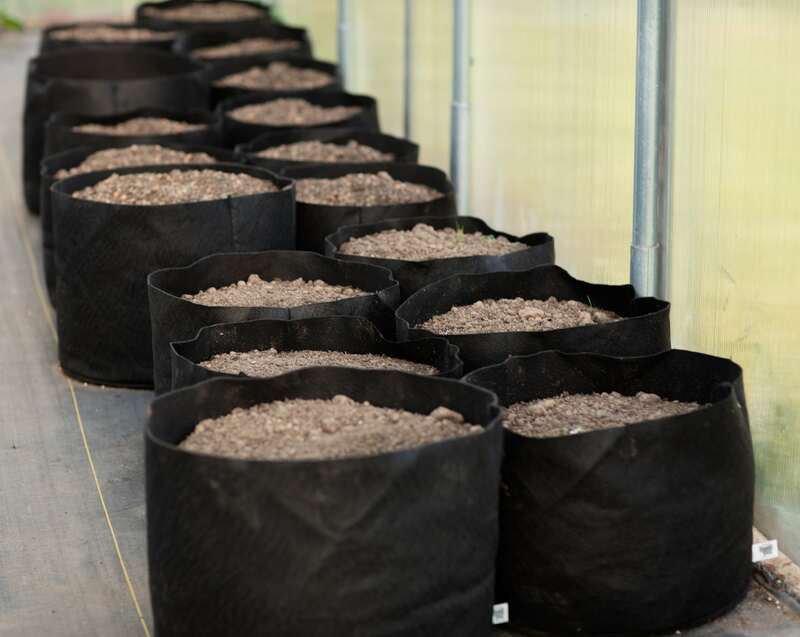 Roots growing in Smart Pots have as close to an ideal environment as possible and this often isn’t the case in ground soil. Drainage is ideal, the growing media can be amended to individual plant preferences and plants are free of competition from weeds and tree roots. Also roots, bulbs and tubers don’t have to contend with other underground obstacles such as rocks or hidden debris. With Smart Pots, you control the environment. Smart Pots also warm up earlier in the springtime than soil, allowing you to plant earlier and have a longer growing season. Smart Pots also last for years. The literature says to expect as least 3- 5 years from them. I can personally attest that some of my pots are 12 years old and still very usable and mine are left outdoors year round completely covered during the winter with lots of snow and ice.